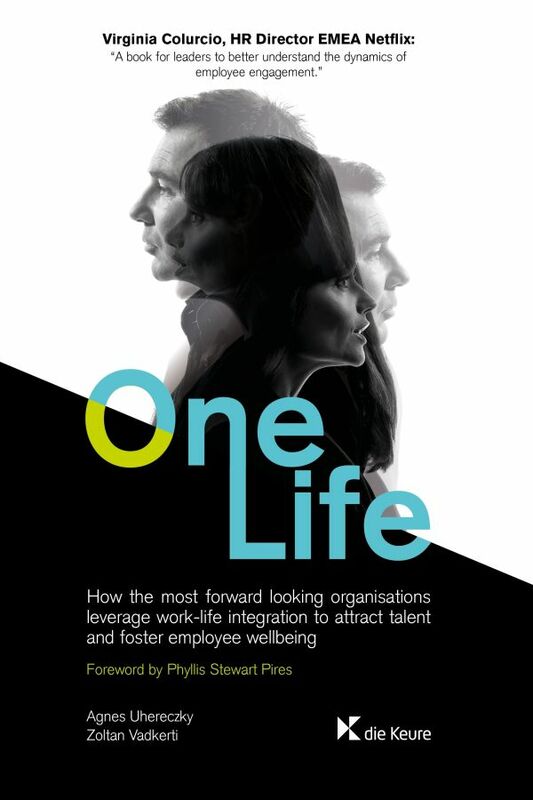 One Life is a must-read guide to successfully adopt work-life integration within your organisation. How can you attract and retain talent, reduce and prevent burnout, engage and motivate employees? You’ll find the answer in this book. Bursting with real examples and multidisciplinary case studies from all over the world, One Life is a fundamental reading for leaders, line-managers and small business owners alike. The book covers all aspects of Work-Life Integration Management, from theory to practice. It contains the following: - a framework for organisations to situate work-life issues - a work-life integration maturity model allowing organisations to assess their current level of maturity, and learn where there is room to grow - the fundamental elements of Work-Life Integration Management - a whole chapter dedicated to Adidas, and their work-life integration department. Agnes Uhereczky is the co-founder of the WorkLife HUB, and the host of the WorkLife HUB podcast. Agnes is a change management professional, who is passionate about helping organisations reach their highest potential in attracting talent and improving employee well-being. She is also interested in research, and has coordinated a number of research projects into exploring the new world of work, learning about how working parents and carers cope with daily demands of work and family life. Zoltan Vadkerti is an entrepreneur, speaker and workplace consultant. He is the co-founder and Executive Director at the WorkLife HUB. He studied economics in both the Netherlands and Hungary before he moved to Brussels to becoming a lobbyist on EU social and employment policies. That experience, and many others, led him to an interest in the organisation of work and specifically on the quality of work and work-life integration.